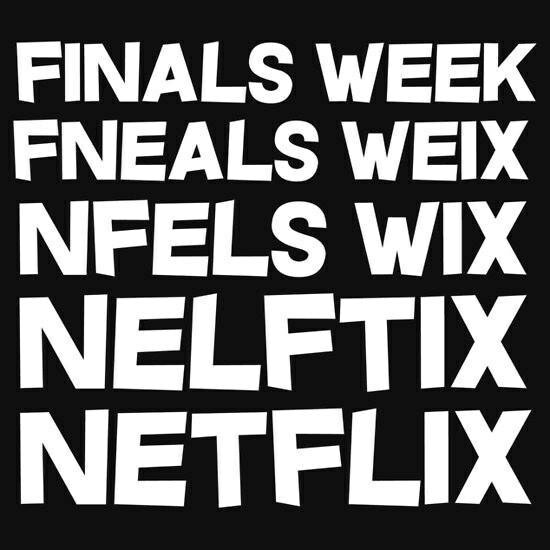 Finals week as told by a college senior. Spoiler alert: it never gets easier. Finals. A word most college students pretend is not part of their vocabulary. A word that instills fear. It triggers immediate anxiety. I have somehow managed to survive through 6 previous semesters in college, yet I still don't think I have learned how to do finals week. I am currently sitting in the library writing this article instead of studying for my exams. 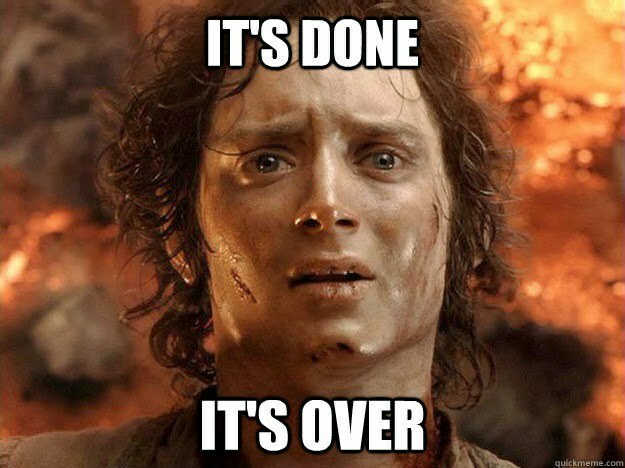 I have handed in a final paper and taken one exam. Two exams stand between me and winter break. Two exams in one day. You would think I'd be ecstatic to be so close, but I honestly feel so far from break. I have reached a point where I have studied for hours on end, but I would feel guilty for doing anything but study before my exams. So, with all this time given to us with reading days, how do college students do finals week? Phase I: We survived our classes! 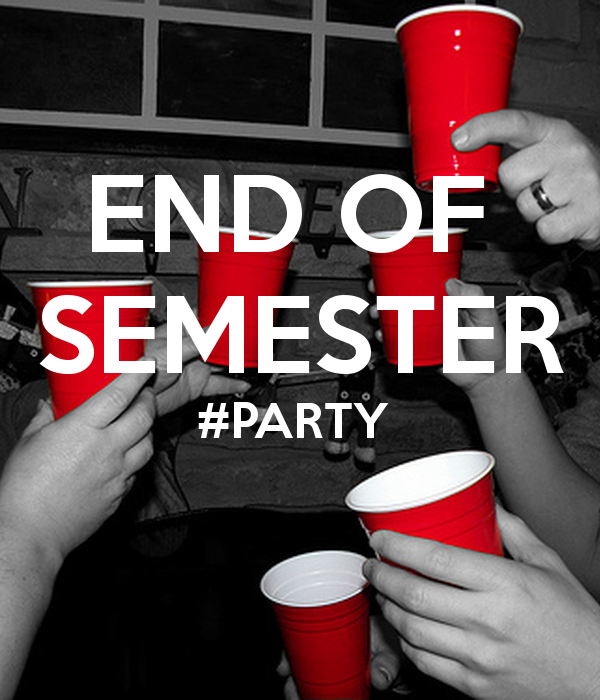 The end of the semester likely brings on lots of sleep, Netflix, and (obviously) booze. Whether you have formals or random parties, you likely waste your first few reading days hungover. 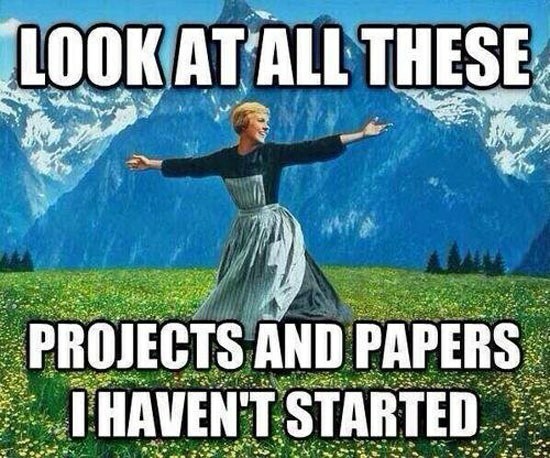 That moment when you realize that you have a lot of work and immediately proceed into phase III. 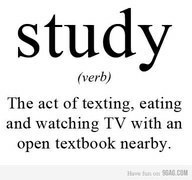 Let's be honest with ourselves here, how many of use actually start studying when we say we will? There are so many better things to be doing! When you actually start studying for exams and writing papers, you start to go crazy. You may stay in the exact same seat in the library for 12 hours. You may not shower for days. Maybe you stress eat your way through the rest of your meal plan. 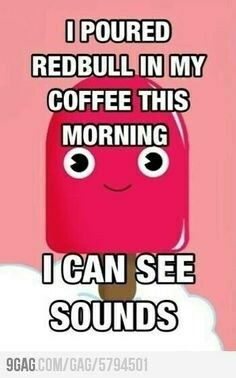 This is the point where you are likely hopped up on various forms of caffeine and think you're being the most productive you've ever been. In reality everything you're writing is crap, but that's for a later phase. This is when you start binge watching a new show on Netflix thinking you actually have the time for this. Or maybe you convinced yourself that this would be a good study break. Spoiler alert: you were wrong! 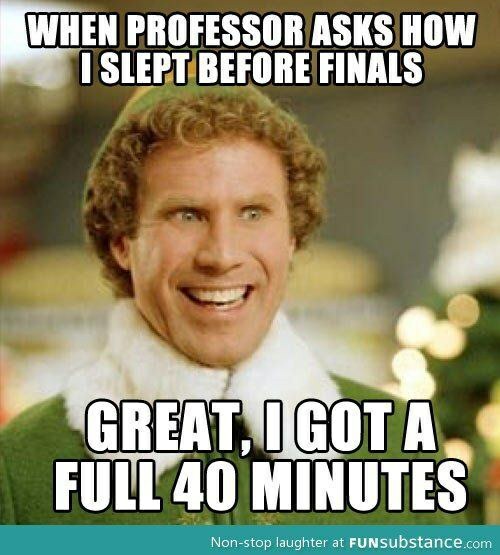 In a last ditch effort to pass your classes, you pull one (or several) all-nighters to finish your papers or learn a semester of organic chemistry before an exam. While this gets s**t done, we all know all-nighters are stupid, yet we continue to pull them. 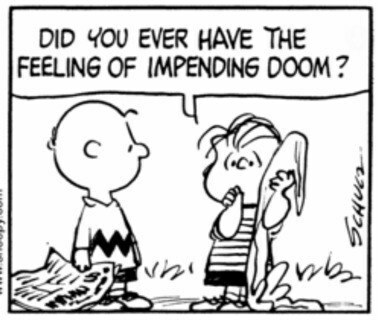 As you hand in that last paper or walk into your last final exam, you will likely feel a sense of doom. While the end is near, you know you haven't produced your best work. You tell yourself that you'll do things differently. Well, I'm here to tell you that nothing ever changes. 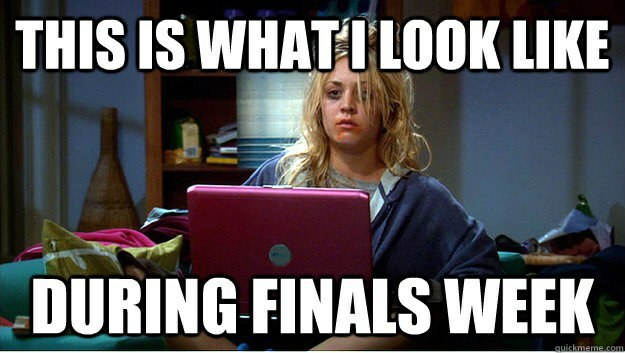 Finals week always goes the same, whether you're a freshman or a senior. Congratulations, you made it! You survived finals week. Now go home, get some sleep, and forget about your grades until they are released. When you get your grades, you then have permission to cry. Here's to another "successful" finals week!